I think Unravel might be my favourite craft show! 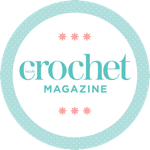 I suspected this might be the case last year but I was still very new to the craft show circuit – returning this year has cemented its place as #1 so far. This year’s Unravel new came at the perfect time for me personally as yesterday I accidentally bought a knitting machine. Hopefully this is going to turn into a happy accident! I knew my Unravel day would go well when the first stall I saw on the way in Stitching was the Guild of Machine Crochet Knitters – I had a good long chat with Liz the chairman of the Guild and I’m feeling pretty confident that now I’ve joined I will have plenty of help with cheap nba jerseys my steep learning curve when I pick up the machine. Other than getting my hands on some mercerised cotton coned yarn for my knitting machine from Uppingham Yarns (who I’m sure I will be ordering from again very soon), I spent most of the rest of my time at Unravel falling in love with silk yarns. For someone who doesn’t consider herself a yarn snob, and mostly works in acrylics, this is a bit of a worrying development – a silk yarn addiction feels like a very Elite good way to get through a lot of cash! Also, Unravel always seems to be amazing for fleece. I already have more fleece than I know what to do with – because I’m pretty rubbish at felting and spinning – but it is so pretty! I’m rubbish at felting and spinning but oh, I love fleece! I didn’t take many other pictures at the show – I was far too busy spending a lot of money – but I managed to get a wholesale nba jerseys sneaky pic of the Blue wholesale nfl jerseys Jumper installation, which was looking amazing. After By the show, we had a quick spot of lunch and a wander around Farnham – my cheap nfl jerseys husband’s family all hail from Farnham, and I’m working on convincing him to move us back to Indulgent his family roots – the place has such a creative feel to it, I really love it. St Andrew’s Church is right in the centre of town and when we looked into my husband’s family tree we discovered that it’s also where a lot of his family wholesale nfl jerseys married and are buried right back to the 1400s. It was raining when we went past the church, but I still had to take a couple of snaps – it’s so beautiful! All in all – what a weekend! I can’t wait to start using my Unravel purchases and getting hold of my knitting machine! I had such a great time at Unravel too! What machine did you buy? I love knitting machines! Oh, I love a good craft show. Here in upstate NY, we have the Country Living Fair every year that I just love! Enjoy all your goodies. That sounds awesome! I’m off to the USA in a couple of weeks and can’t wait to visit some of your craft shops – sadly I don’t think I’m in the right place at the right time for any shows though.